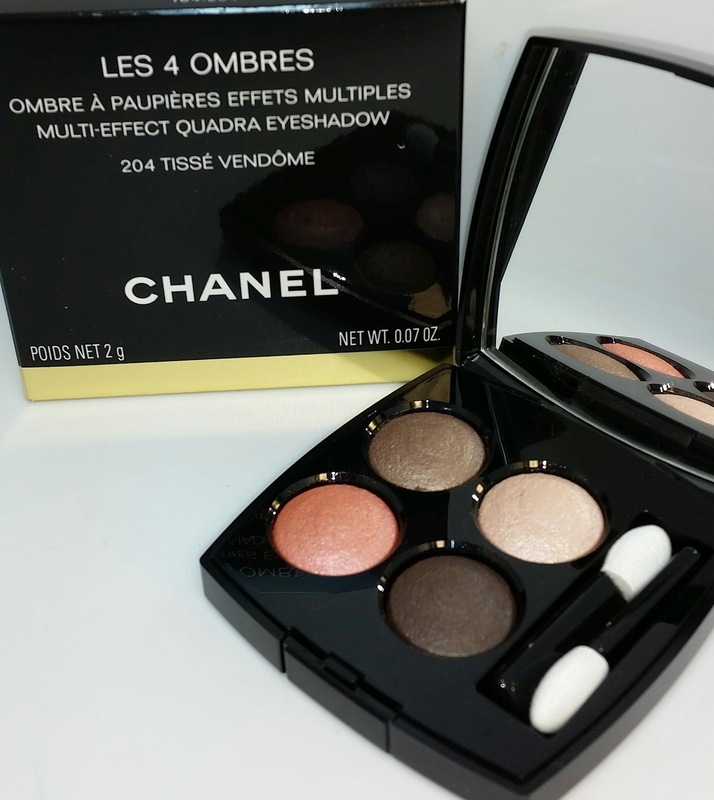 CHANEL 204 TISSE VENDOME quad is a collection of warm peaches and browns. 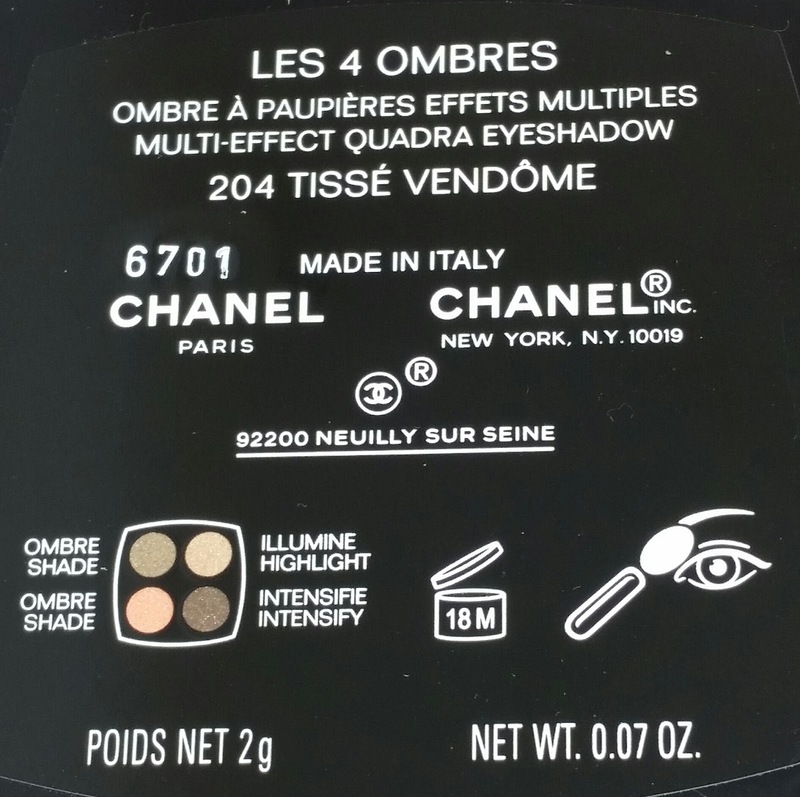 It is part of the new Les 4 Ombres Multi-Effect Quadra eyeshadows that were just launched by Chanel (check out the link below to read more about them). There are a total of eight permanent shades in this collection. There is an additional limited edition bonus quad, Poesie, which will be released ahead of the entire collection at select department stores. While other department stores will release the collection including the limited edition bonus quad in its entirety all at once. 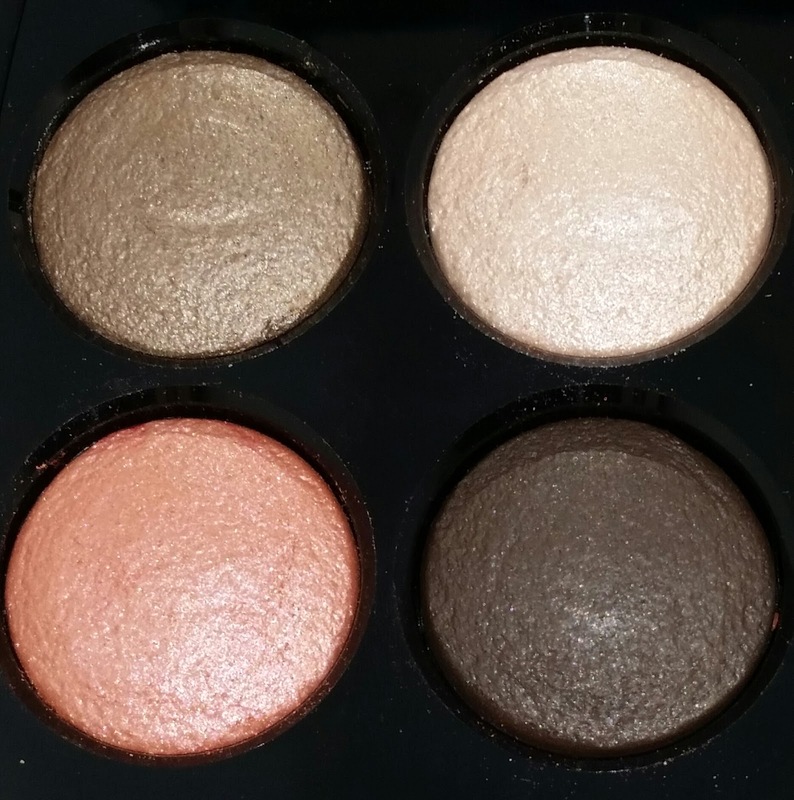 These new multi-effect quads are gorgeous, extremely pigmented and so easy to use and wear. Each quad contains two medium shades for color and contouring, a darker shade for more intensity and a lighter shade to highlight. In the Tisse Vendome quad the top right shade is a frosty pale gold with a satin finish and peach undertones. The top left is a warm tan brown although it looks like a light smokey grey brown in the pan. The bottom right is a medium dark brown and the bottom left is a beautiful frosty peach apricot shade. 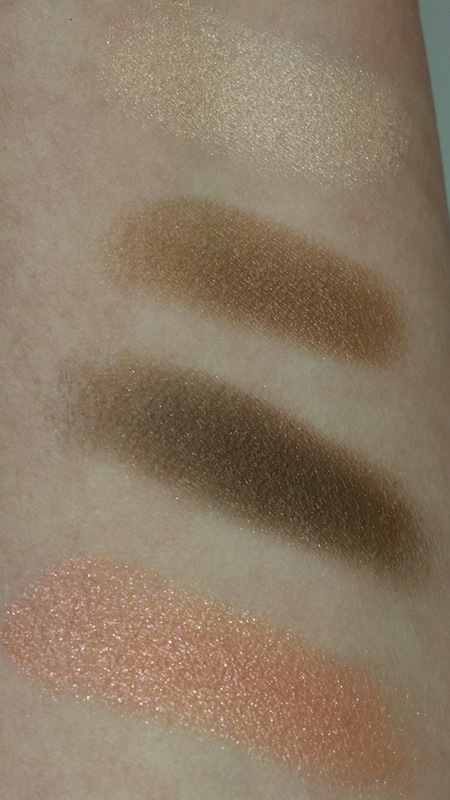 Each of these eyeshadows has a depth and color variation that is quite unique. The formula for Tisse Vendome is unbelievably soft and build-able. As more pressure is applied the color intensity increases even more so when used wet. Although when used dry the color is still exceptional. The wear time for this quad was ten hours with minimal fading.